Billionaire Tom Steyer announced Wednesday that he will not run against President Donald Trump in 2020, The New York Times reported Wednesday. His decision to bow out ends several months of speculation about the former hedge fund manager’s intentions. He made the announcement during a stop in Des Moines, Iowa, a trip designed to tout his list of “5 rights,” a ploy the Democrat created in 2018 to highlight rights he believes corporations have stolen from Americans. Some believe the idea was a precursor to a political campaign. “Most people come to Iowa around this time to announce a campaign for president,” he said in the remarks, the report noted. “But I am proud to be here to announce that I will do whatever it takes, for as long as it takes, to remove a president.” Steyer, who Forbes believes is worth roughly $1.6 billion, said he would continue campaigning to oust Trump. 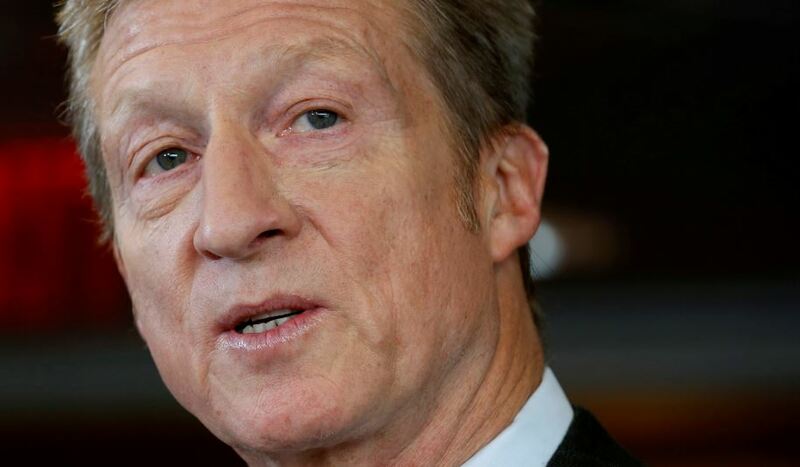 Steyer has played coy for months, but many things led to his decision, including his past investments in fossil fuels, which could hurt him among a Democratic turning away from oil. He will instead focus on impeachment. The presidential season is starting early as Massachusetts Democratic Sen. Elizabeth Warren announced on the last day of 2018 that she is officially forming a presidential exploratory committee. Other well-known Democratic lawmakers are considering White House bids as well. Democratic Sens. Sherrod Brown of Ohio and Amy Klobuchar of Minnesota, for their part, announced they are both considering a presidential run. Meanwhile, New York Sen. Kirsten Gillibrand acknowledged she might be walking back her promise to serve out her full six-year Senate term if she is elected to the seat because of her potential presidential campaign.